Below is a VERY interesting and insightful article that answers questions about the hazards of having root canals. 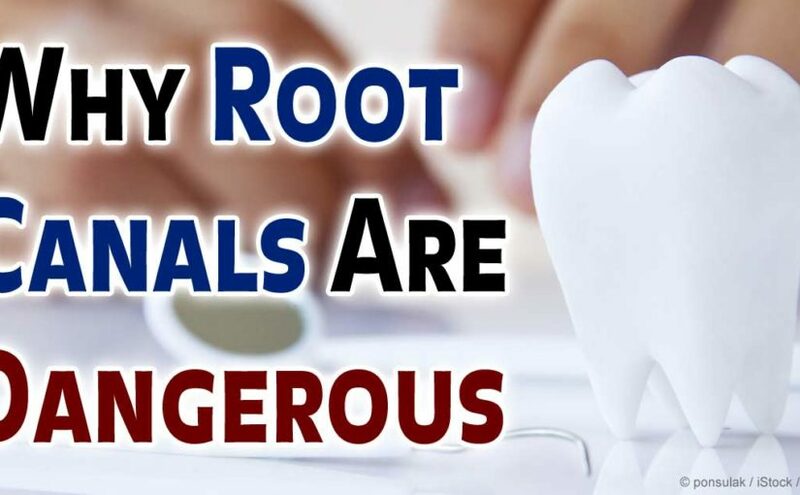 Root canals are toxic no matter what a dentist or endodontist may tell you. You will understand more as you do your own dilligence on this topic as I did. I found this article to answer many questions that I had about my root canals when my doctor first suggested I extract them all. I now have all my root canals out of my mouth as well as silver fillings. It is advisable in my opinion, if you have root canals – get them out! 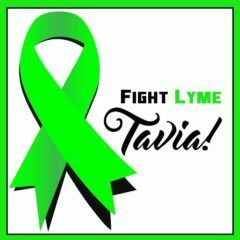 If you have Lyme disease or another chronic illness, please read this article below. Holistic and natural medicine tends to overlook what is probably the number one source of the body’s toxins – the mouth. The infectious mechanism was initially documented by Dr. Weston A. Price, chairman of the Research Section of the American Dental Association from 1914-1923. History tells us the ADA however wanted to promote root canals as a new service and never moved forward with Dr. Price’s well documented research. MB: Do you see a lot of people with Lyme disease? AL: I probably have a high proportion of people who are chronically ill. And a high proportion of people who have chronic illness have Lyme. MB: How do you determine that? AL: Some people of course come with the diagnosis. In others, I see Lyme in their symptoms. They may have swollen joints and other chronic conditions that are suggestive of Lyme. It is not the same with everyone. It depends upon their weak spot. Where they have a weak link, Lyme will affect that area. It is my experience and that of many others like me, that Lyme at this point in time is not a pathogen that can be eliminated. Rather we must seek to manage it holistically. MB: Are Lyme bacteria in the teeth? AL: Not in the enamel, but in the dentin and tubules. Every tooth has some three miles of tiny tubules that spirochetes love to occupy. Antibiotics, even the extended courses that some chronic Lyme patients use, do not get into these tubules. Lyme gravitates toward some teeth. It is my experience that Lyme gravitates especially to the upper and lower centrals, and to the upper and lower first molars. That’s eight teeth. MB: How do you test the teeth to determine where the spirochetes are hiding? AL: I devised a method of percussion, a slight tapping of the tooth to give it a tiny shock. I use an electrodermal screening device to measure how the tooth responds. When you see a pattern of low or high current flow, that tells me the tooth is underperforming or overperforming. When the energy level is abnormal, that can indicate Lyme. I have not seen any amount of herbs or antibiotics get these teeth to change their readings for the better. MB: Can you get rid of the Lyme in the mouth then? AL: Mostly. It took me almost 15 years to figure out how to test for it in the teeth and how to devise a homeopathic remedy to address it. Teeth breathe. Healthy teeth push fluids out; that is the way they keep bacteria and such out just as skin keeps harmful things out. But with stressed teeth, the flow reverses and fluids go into the tooth. Recognizing that, I devised a mix of homeopathic remedies that go into stressed teeth and knock down the Lyme. I don’t think you can ever get rid of Lyme completely. We just have to learn to live with it. The homeopathic remedies I formulated will eliminate most of the Lyme and its co-infections from the teeth. I find that if there is too much Lyme in a person’s mouth, cavitations do not heal unless we address the Lyme first. Energy transference of homeopathy is not like a chemical transference. When a tooth is treated, regardless of whether it has a crown, the tooth seems to respond. MB: You are one of a mere handful of dentists in the country who uses electrodermal testing, why? AL: The American Dental Association (ADA) does not yet acknowledge electrodermal screening. I am in the midst of a 10-year, FDA-approved study on the energetic relationship of teeth to degenerative disease as monitored by electrodermal screening. I have about 500 patients in the study. It is crucial to recognize that each tooth is connected via meridians to the organs of the body, and they are all connected energetically. For example, many people with heart conditions will be found to have a chronic infection at the site of their wisdom teeth – the third molars. Certain molars are connected to the heart meridian and when those teeth are stressed with chronic infection, the heart is stressed. Dr. Joseph Issels of Germany wrote that many cancer patients got well for example when root canals and other infections of the oral cavity were removed. I find that almost 100 percent of women with breast cancer have a chronically affected upper first molar. Likewise, reproductive organs are tied into the upper centrals, male and female. My approach is based upon the Meridian Theory from Traditional Chinese Medicine (TCM) and The Focal Theory of Infection. Both homeopathy and Rife frequencies work energetically with Lyme; they are just different sides of the same coin. Both are effective. The difference is that for homeopathy to work optimally, you have to remove as many impediments to proper immune function as you can before using it – such as removal of dead teeth and metal fillings of all sorts, and cleaning up chronic infections in the jawbone. Rife works by generating a frequency specific to Lyme and aiming that at the body to kill the bacteria. Like homeopathy, Rife generators may or may nor produce healing crisis. That seems to depend on individual reactions. Neither one will totally eliminate the various forms of Lyme bacteria, but they help manage the disease. MB: What is the Focal Theory of Infection? AL: A focal infection is a local infection that expands to incorporate the whole quadrant, then the whole side of the mouth and eventually can cross the midline to incorporate the other side. Basically, the theory says the oral cavity is able to generate particularly nasty toxins that poison the body when you have had a root canal or a tooth extracted. Most dentists still do not understand the Focal Theory; it was studied more in Europe than here. Dr. Weston Price’s great contribution was the discovery that focal infection bacteria are polymorphic, meaning they mutate and adapt and multiply like rabbits in the three miles of dentin tubules that emanate from every tooth. The bacteria become smaller and anaerobic – they can now live without oxygen. They also become more virulent, and their toxins more toxic. Root canals and old extractions are common focal infection sites. When you have a root canal, a dead tooth is left in the mouth. The dead tooth lacks a blood supply to its interior. Antibiotics circulating in the bloodstream have no way to penetrate this dead tissue. Over time, the material packed inside the dead tooth shrinks a bit. Now bacteria come in and morph. The tooth has both bacteria and toxins as a result of being dead for so many years and these toxins are infiltrating into the bloodstream. In extraction sites, the healing may not take place correctly. If the healing is incorrect, the space can fill in with fatty tissue, dead bone, improper bone, or it can fill in with infected material. All of these processes are wrong and the organ associated with that extraction site will always show this improper healing. The remedy is to clean out the socket, debride it, and remove the ligament that holds the tooth in as well as the dense bony lining of the socket. The other important factor is cleaning up the quadrant (at least) of the mouth where the extraction was performed – cleaning up all metal and any other extraction sites. This is the best way to assure proper healing from extractions. Toxins from focal site infections are highly virulent and they tend to go to the organ associated with the meridian upon which that tooth lies. Over time, the toxins’ assault will change the genetics of the organ. However, it has been found that upon proper extraction of a dead tooth and proper treatment of an extraction site, the organ will return to its normal genetics. Bob Jones, an engineer, recently did substantial genetic testing which demonstrated the ability of organs to right themselves. MB: Are tonsils also focal infection sites? AL: They can be. Tonsils are basically nodules of lymph tissue. Removing tonsils should be a solution of last resort. Tonsils are part of the immune system. Tonsils are a network of guard posts to infection because the body needs to protect the brain. There are valves in the veins that prevent blood from flowing backward. In the head there are no valves, so blood can flow in any direction and an infection in the brain would be disastrous. The tonsils, when functioning properly, prevent infections from entering the brain. There are four tonsils on each side of the head plus the pair we can readily see at the back of the mouth. They are prone to recurring infections because of allergies and other factors in the body. With multiple infections comes scarring of the tissue. Hence when this has occurred, the tonsils need to be dealt with as scars need to be dealt with. MB: Tell us how scars interfere with the body’s energy. AL: If scars are present, they act as an energetic block, much the same way a dead tooth does. And there are various ways to neutralize scars. A scar is not merely something on the outside of the skin – it is the skin. The energy flow of the meridians goes right under the surface of the skin so where there are scars, they can act as a major block to energy flow. There are various other energetic blocks, but teeth, the tonsils, and scars are the major ones. When healing energetically, all three areas are very important to deal with. The stronger the energetic system, the better you can handle outside factors like genetically modified food and environmental chemicals. Often with Lyme, it is said that you need a strong immune system to keep the Lyme under control. That is true. But you also need a strong energetic system and often that is overlooked. MB: Can you tell us about one of the Lyme patients in your FDA-approved study? AL: Sure, let’s call her “Julie.” Her history was one of a normal birth, normal delivery, normal first 6 months of development. But then she began to have pronounced joint pains, mobility problems, rashes, and her deciduous teeth – her baby teeth – showed pronounced malformation and discoloration. Julie’s parents took her to a prestigious California medical facility where they were unable to make a diagnosis. She was given pain medication and anti-inflammatories. This went on for 6 or 8 months with no apparent relief of the symptoms. When I first saw Julie, she was 18 months old. Her deciduous enamel was misshapen and reddish in color. This suggested there was a deep underlying condition that probably would cause the same things to occur in her permanent teeth. I used electrodermal screening and determined she had what looked like borellia burgdorferi – the main spirochete that causes Lyme disease. She tested positive for some co-infections, but B. burgdorferi was the bigger factor. I made homeopathic remedies for this and we also used natural anti-inflammatory remedies. Within a week, the pain subsided dramatically. The swelling decreased. About one month later, the parents reported that the symptoms had disappeared. It is too early to tell of course, but there is every reason to believe her adult teeth will erupt normally and be free of the red stains and changes in morphology that came with the baby teeth. When I saw Julie, I realized both parents had Lyme. Lyme can be transmitted through the placenta. MB: How much of a role do vaccinations play with children with Lyme? lymePHA1AL: In general, vaccines lower one’s immune competency and most would impede immune function where Lyme is concerned – allow it to get an easier foothold. A vaccine does not boost immunity. It gives us a template to recognize a specific protein when it enters the body and to be able to attack that protein and render it harmless to the body. Vaccinations should not be done until about 2 ½ years of age, the point at which all the baby teeth have erupted. It is then that humans have a fully functional, competent immune system and can better handle the introduction of the complex foreign proteins introduced in the form of vaccines. That is not to say they can handle the mercury and other toxins added for stability. We have to create a culture where people realize drugs are not made to maintain healthy, happy lives. The integrity of the terrain is the major factor. Louis Pasteur, remembered for developing vaccines, reversed himself on his deathbed. He said, “The pathogen is nothing, terrain is everything.” If you want a healthy terrain for children, then pre-conception health becomes critical because we are seeing more and more that degenerative changes in kids are transferred from the parents. You see teeth malformations in some children. That says something is going on with the DNA. It has been demonstrated, for example, that there are genetic changes along pathways where there are root canals. Where pathways have been interfered with, the genetic changes for worse. But when corrected, the genetic change goes back to the normal pathway. “Smart conception” means you clean up the energetics of the body first. MB: What about mercury fillings? AL: Mercury is about the most active of metals. The higher the temperature, the more it is released, poisoning the system. It is tough to rid the body of chronic diseases when poison constantly leeches from the mouth. Many people have crowns with an underlying layer of nickel, a very toxic metal. Unfortunately, dental schools are not much help right now. They do not teach Chinese medicine and they still consider amalgam (50% mercury filling) a usable material, when even the FDA now requires warning labels on amalgam packaging. Sometimes people tell me they got worse after they had mercury fillings taken out. I know the wrong material was used in that person’s mouth. You really have to test energetically for what to use for crowns or bridges – restorations. The material I like the best is cubit zirconium, a cousin of what you find in the false diamond. It is energetically different and has been consistently good for restorations. Zirconium is a metal that looks like clear glass. When you make an oxide of it, the negative aspects of the metal disappear. It loses it crystalline aspect and becomes more acceptable to the body. I always felt the internet would help humanity learn how to live better, naturally. As more consumers demand metal-free dentistry, this will create the change in the profession. When I started 35 years ago, I had to talk like a Dutch uncle to get people to remove mercury fillings and root canals – it was tough. Now people are getting more informed. As patients demand change, the young dentists will have to respond. The dilemma, though, is that when they get out of school, young dentists are in debt. To take on a whole new challenge, to change your profession, is a very arduous task. They need the support of the patients. MB: Would you say something about your own experience with Lyme? AL: Many people in my part of the country do not understand the Sierra Foothills and the California coastal range in which they live is full of ticks. Many people are bit and never know it. They don’t understand that Lyme disease is sexually transmissible, and is passed through breast milk as well. I got sick because I had teeth extracted. Root canals, as well as improper extractions, weaken your immune competency. In my case I had two front teeth and one lateral incisor killed by trauma. Subsequent root canals left me compromised. When I was bitten by a tick, I contracted Lyme. I have every reason to believe that had these teeth been properly addressed, my immune function would have been sufficient to withstand the Lyme onslaught, because people who exhibit healthy immune function generally do not suffer from the worse aspects of Lyme. Nobody in my family has Lyme disease – mother, father, sister, etc. I was the only one with bad teeth as well as the only one to have had my tonsils removed unnecessarily. I believe this heavily compromised my immune system. When I got bit, I had the textbook bulls eye rash. In my opinion, those who see a rash are those who have a stronger immune system. The rash is the body’s attempt to defeat the bacteria at the site. Then as the rash expands, that is a sign the body is losing the battle. Eventually, the rash dissipates and is gone. Then you can assume the Lyme has gone latent. I still struggle with Lyme. But I don’t encourage limiting anyone’s life. I hunt and fish less than I used to, but that’s age, not fear. I love the outdoors and it is such a valuable part of my life, I would not choose to limit that. Lyme can be treated successfully initially with antibiotics or homeopathy – if it is done immediately. But most people, like my patient Julie, don’t know what they have until it is too late for conventional treatment to produce a result.